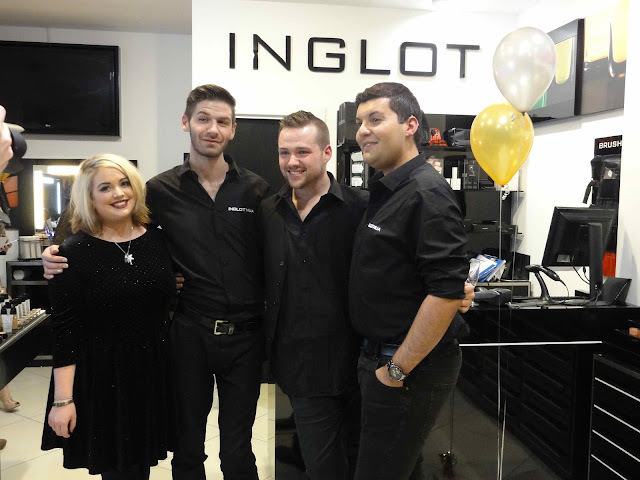 Inglot Belfast - wearing the same dress I wore on Sunday...! Not sure what everyone is laughing at here but don't they all look lovely! More FABB bloggers in this pic - Cathy Flannery, Claire Louise & Aine O'Hagan. 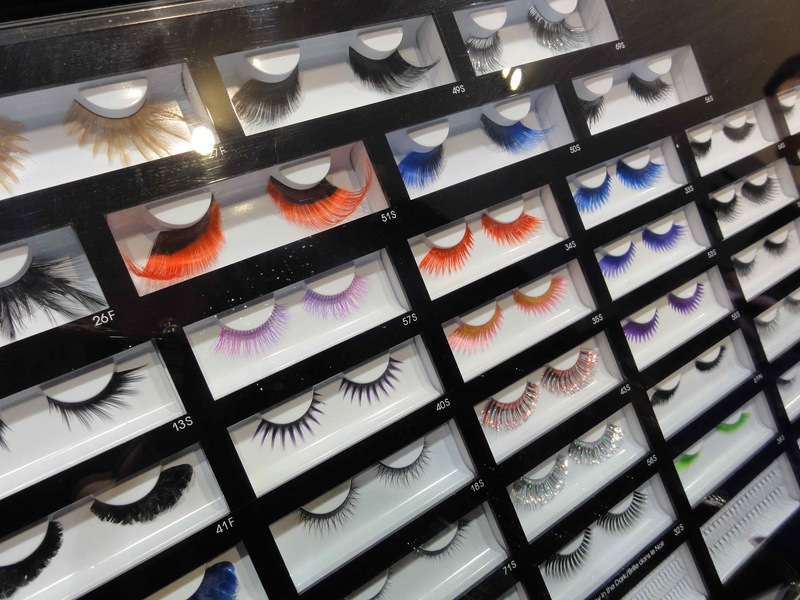 Amazed at the range of false lashes - something I've never tried…I need to after seeing these. If you've never been to an Inglot store, the concept is great. 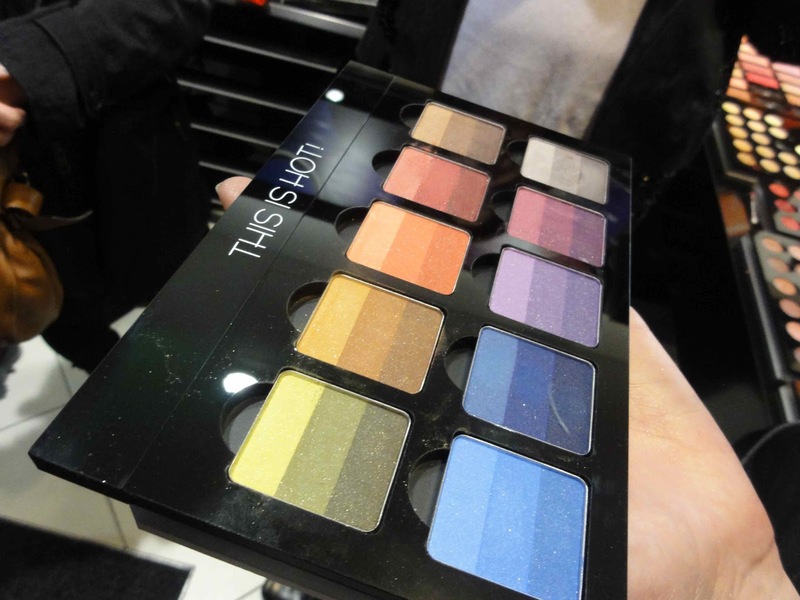 Essentially, it's a very affordable range of make-up..but the beauty (check the pun!) in the ingot system is that you can assemble your own palate using the Freedom System. Pick only the colours that you use on your face and have them assembled into one palate. No waste, rechargeable and affordable. 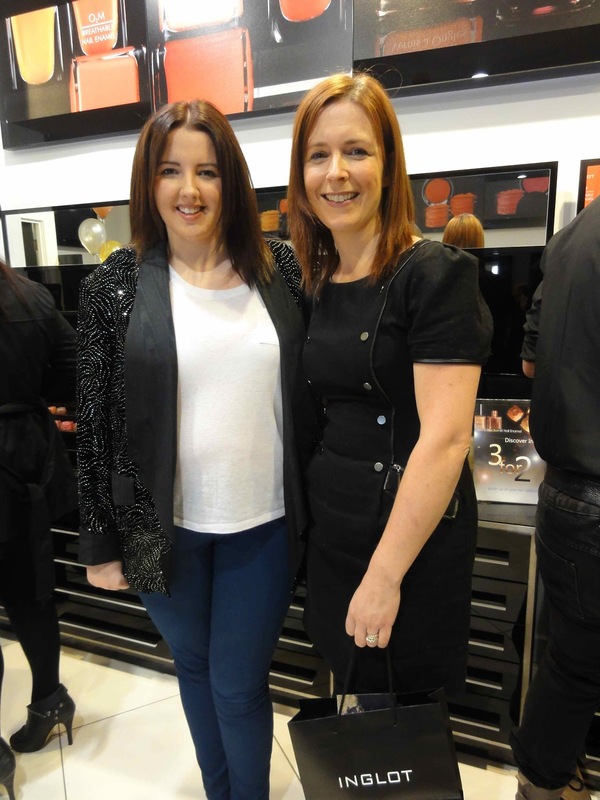 Also, at point of sale, you're being assisted by fully qualified make up artists who can advise you on the best colours and on how to apply them correctly. The new Rainbow Eye Shadows - three for the price of one and so versatile as Nicky demonstrated. We were lucky enough to have our pick of any two colours to take home. 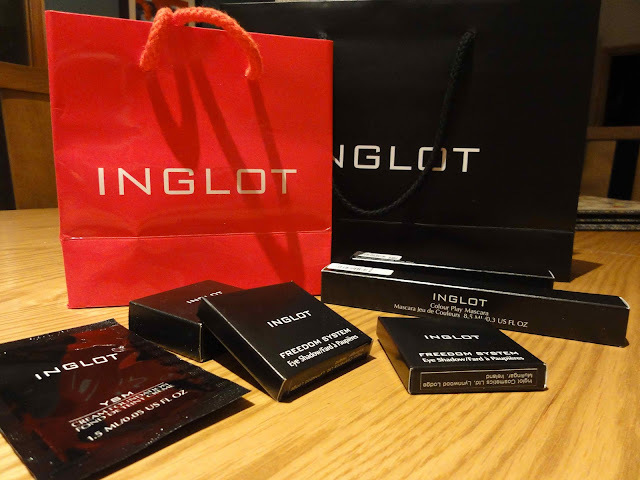 Thanks to the Inglot Belfast Team for a great night out and for my bag of freebies that I can't wait to try! If you're vintage, then I'm antique!! 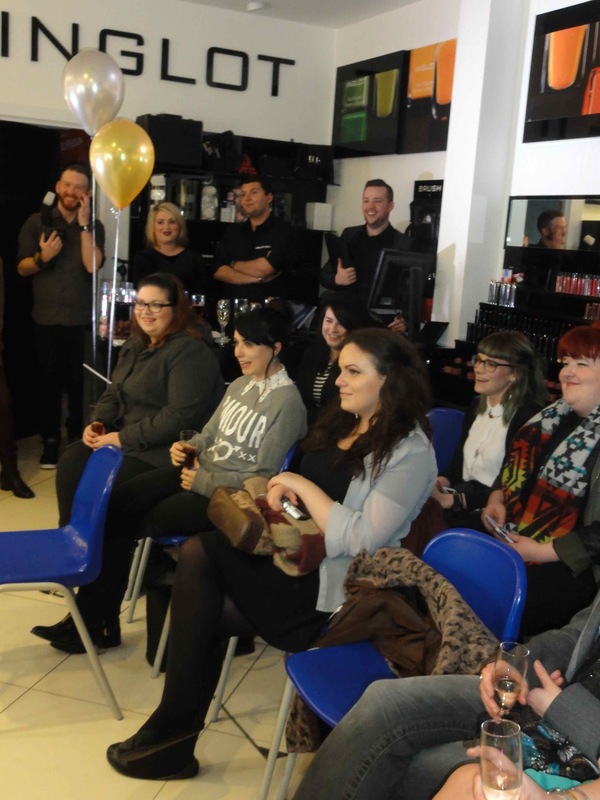 Looks like a great night ... can't wait to see the pics of you with some of those amazing false eyelashes lol!! Lol Helen! I'm old enough to be Gemma Louise's mum…I need to get with the 40 programme soon - only 7 months to go! eek! You and Gemma are a very funny duo. Sounds like a fun night. Looks like a fab event! Can't wait to see what you got in the Bags! You look great in that dress and looks like you made the most of your glam night out too ..
Oh wow! All that lovely make up! You must have been in heaven, Avril, am soooo jealous!! Yea! I have a pile of clothes ona chair. Great make up - lovely to see it here.